Get the insights you need to make smart decisions and improve sales performance dramatically. The RAIN Group Center for Sales Research (CSR) provides leaders with critical insights to support strategic decision making and sales performance improvement. We produce rigorous research reports and benchmark our clients across a variety of topics, with a special focus on learning the keys to top performance and understanding the psychology behind why buyers buy. Since 2005, analysts at the RAIN Group Center for Sales Research have been researching selling and buying, and publishing dozens of benchmark reports, white papers, research briefs, articles, and best-selling books. Top-Performing sales teams have significantly higher win rates, revenue growth, and sales goal attainment than The Rest. Our research looks at what Top Performers do differently to achieve this level of success and provides insights to help you determine what you need to do to join their ranks. According to buyers, sales winners sell radically differently than second-place finishers. How sellers sell has a huge impact on buyers’ decision to buy, and choosing one provider over another. We study buyers, how they make decisions, and what tips the scales in the favor of one seller over another. 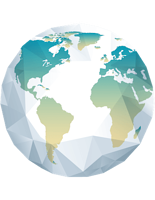 We regularly benchmark sales organizations against our proprietary database of Top Performers—companies with the highest win rates, sales goal achievement, strategic account growth, and revenue growth. You’ll learn how you stack up and exactly where your gaps lie. Apply to join the Center for Sales Research Panel. The #1 priority cited by sales leaders in the year ahead is increasing business with existing accounts. RAIN Group Center for Sales Research reports, including The Top-Performing Sales Organization, What Sales Winners Do Differently, and Top Performance in Strategic Account Management, help you discover what separates the best from the rest and how buying is changing. Equipped with this knowledge, you too can join the ranks of the Top-Performing Sales Organizations—beating sales targets, growing accounts, and finding yourself in the winner’s circle more often. What do Top-Performing Sales Organizations—those with higher win rates, sales goal attainment, and premium prices—do differently than The Rest? Learn more. Sales winners sell radically differently than second-place finishers. How sellers sell has a huge impact on the buyer’s decision to choose one provider over another. Learn more. Most companies know they could be generating more revenue from their accounts. Discover what you need to do to maximize sales to existing accounts. Learn more. Discover what you need to do to connect with buyers, generate meetings, influence overall purchase decisions, and where buyer and seller views on prospecting overlap. Learn more. Apply to join the RAIN Group Center for Sales Research Panel to get exclusive access to all benchmark reports, research briefs, analysts, and more. Apply now. We regularly benchmark sales organizations against our proprietary database of Top Performers. You'll learn how you stack up and exactly where your gaps lie. We also perform custom sales research services. Learn more. The world of sales has changed. Download our free research report to learn what sets today’s sales winners apart from the rest. Learn how you stack up compared to Top Performers and what you need to do to join their ranks. 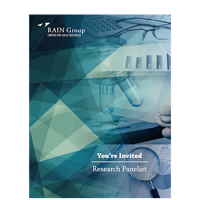 Get exclusive access to RAIN Group Center for Sales Research benchmark reports, research briefs, and more by becoming a Research Panelist.